Let Tony DADA show you how to use Timeless and Universal principles including the Law of Attraction to improve the quality of your personal and business life in just 90 days. 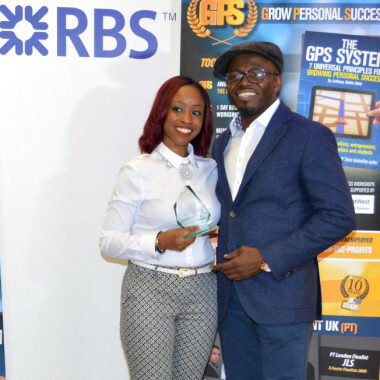 The Grow Personal Success system has been developed over 25 years since Tony started coaching and training people through workshops, programmes, courses and coaching. Guaranteed 100% certainty of significant results or your money back. Our thoughts and feelings filter reality and cause us to interpret situations in distorted ways. We may see situations as opportunities or problems depending on our mind-set. The material considerations in our life are significant. A healthy financial state provides a platform for us to make an impact in the world. You can’t do well if you don’t feel well. Our physical health is the very foundation of our life success. Without it we have no vehicle to carry out our purpose. Your relationships are one of your most precious assets. Investing in them consciously pays dividends beyond what you can even imagine. This is based on your faith and beliefs not necessarily religion. This relates to your beliefs about life, yourself and the power that sustains all of life. Here you can enjoy a selection of images, audios and videos from all aspects of Tony’s coaching programs. This will help you get a much deeper sense of whether the opportunity to work with Tony resonates with you. You can click on any one of the following images to go into that section of the gallery. "The Grow Personal Success system is THE blueprint for accessing health, wealth and happiness in the 21st century, without having to stress or work yourself to the bone." Anthony Abiola DADA (aka Tony DADA) has been working within his community and across the UK since 1991 after finding himself homeless and stripped of all his worldly possessions including his children due to his relationship breakdown. It was this experience that led him to what he now refers to as “My great experiment”. Having lost everything in 1 day he realised how redundant a life fueled solely by the need for continual acquisitions becomes and more importantly that “your possessions do not define who YOU are”. Despite a lack of resources (no money) and equipped only with the resources he had acquired from his Spiritual Mentor through lessons on how to live a fulfilled and empowered life, Tony decided that he was going to put these lessons learnt to the test. Armed only with this knowledge and a vision, he decided he would redefine what success meant to him and make his life stand for something. Learn 7 universal principles for Growing Personal Success by Tony DADA. The book is free, you just pay for postage and packaging. If we take our car for a regular MOT to keep it running smooth, imagine what happens if we don’t check out mind-set is correct? Includes a book, a copy of The Secret (Law of attraction) movie, GPS Online Foundation course and exclusive event access. GPS Level 1 gets you well grounded in living by universal principles and allows you to experience the results. After GPS Level 1 many people become clear about their purpose and want to use a business as the vehicle to fulfill it. For those wanting to work in partnership with the GPS System by becoming a coach themselves. Please use this form to make any other enquiry that is not dealt with anywhere else on the site. If you’ve met Tony at an event and would like to follow up and continue your conversation, use this form to contact him. If you are interested in any of the services on this site, please use the calendar to book an appointment. If you have a product or a service that you feel would help Tony improve his business, send him a message via this form.